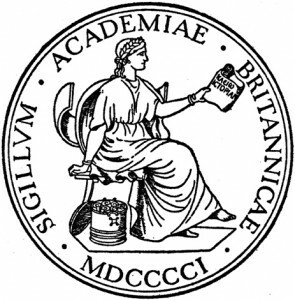 The British Academy announced yesterday that agreement has been reached on a new collaborative agreement with the Leverhulme Trust about funding for its Small Grants Scheme. This is very good news for researchers in the humanities and the social sciences, and I’m interrupting my series of gloom-and-doom posts on what to do if your application is unsuccessful to inflict my take on some really good news upon you, oh gentle reader. And to see if I can set a personal best for the number of links in an opening sentence. Which I can. When I first started supporting grant-getting activity back in the halcyon days of 2005ish, the British Academy Small Grants scheme was a small and beautifully formed scheme. It funded up to £7.5k or so for projects of up to two years, and only covered research expenses – so no funding for investigator time, replacement teaching, or overheads, but would cover travel, subsistence, transcription, data, casual research assistance etc and so on. It was a light touch application on a simple form, and enjoyed a success rate of around 50% or so. The criterion for funding was academic merit. Nothing else mattered. It funded some brilliant work, and Ken Emond of the British Academy has always spoken very warmly about this scheme, and considered it a real success story. Gradually people started cottoning on to just how good a scheme it was, and success rates started to drop – but that’s what happens when you’re successful. Then along came the Comprehensive Spending Review and budgets were cut. I presume the scheme was scrapped under government pressure, only for our heroes at the BA to eventually win the argument. At the same time, the ESRC decided that their reviewers weren’t going get out of bed in the morning for less than £200k. Suddenly bigger projects were the only option and (funded) academic research looked to be all about perpetual paradigm shifts with only outstanding stuff that will change everything to be funded. And there was no evidence of any thought as to how these major theoretical breakthroughs gained through massive grants might be developed and expanded and exploited and extended through smaller projects. For the two rounds of competition held during 2010/11 the Academy received 1,561 applications for consideration and 538 awards were made, a success rate of 34.5%.Awards were spread over the whole range of Humanities and Social Sciences, and were made to individuals based in more than 110 institutions, as well as to more than 20 independent scholars. 2010/11 was the last year that the scheme ran in full and at the time, we all thought that the spring 2011 call would the last, so I suspect that the success rate might have been squeezed by a number of ‘now-or-never’ applications. We won’t know until next month how many awards were made in the Autumn 2011 call, nor what the success rate is, so we won’t know until then whether the Leverhulme cash will restore the scheme to its former glory. I suspect that it won’t, and that the combined total of the BA’s own funds and the Leverhulme contribution will add up to less than was available for the scheme before the comprehensive spending review struck. Nevertheless, there will be about 67 more small social science and humanities projects funded than otherwise would have been the case. So let’s raise a non-alcoholic beverage to the Leverhulme Trust, and in memory of founder William Hesketh Lever and his family’s values of “‘liberalism, nonconformity, and abstinence”. This entry was posted in British Academy, Funding, Funding Policy, Research Costs. Bookmark the permalink. Great piece, Adam. This is really good news. I was going to do something on this for my blog but I think you’ve said everything that needs to be said. Good stuff. I will have my first samples within the next 7/10 days, these will need testing to prove the viblity , and I will need elerical assistance. That’s really outside my area of expertise – my role is more closely related to research funding in the social sciences. Some of my colleagues may be able to offer some advice.